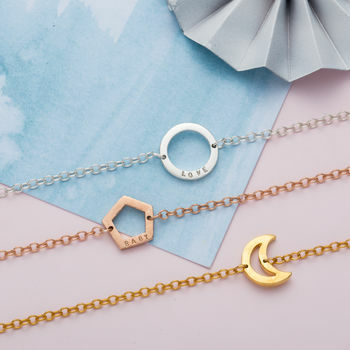 The delicate Personalised Mini Geometric Bracelet makes an on-trend addition to any outfit. 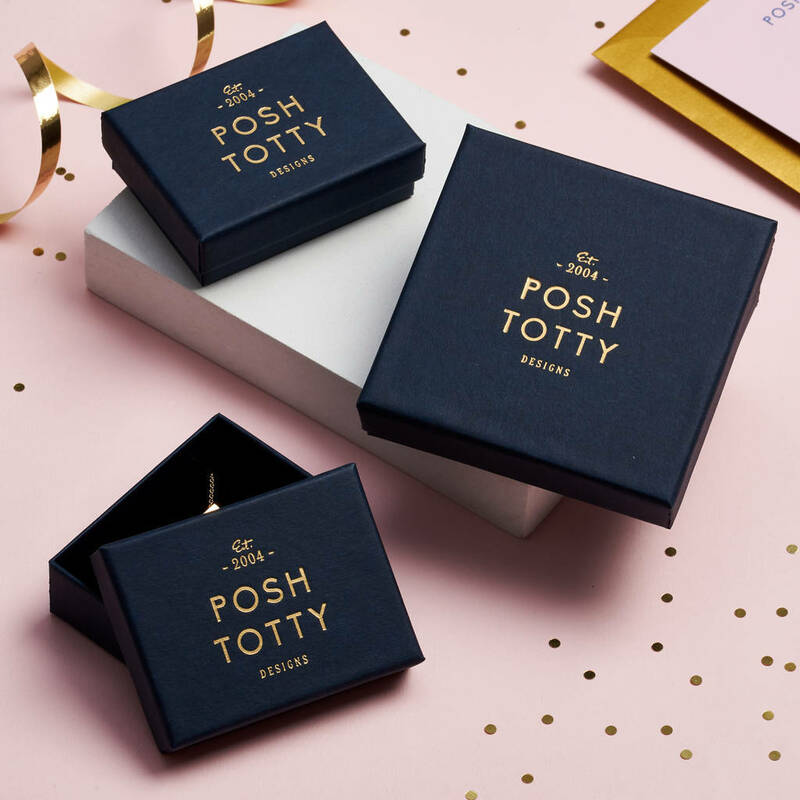 Due to the popularity of the mini geometric range, Posh Totty Designs have developed the Mini Geometric bracelet from their Brighton workshop. Simply select the charm you like in the options. 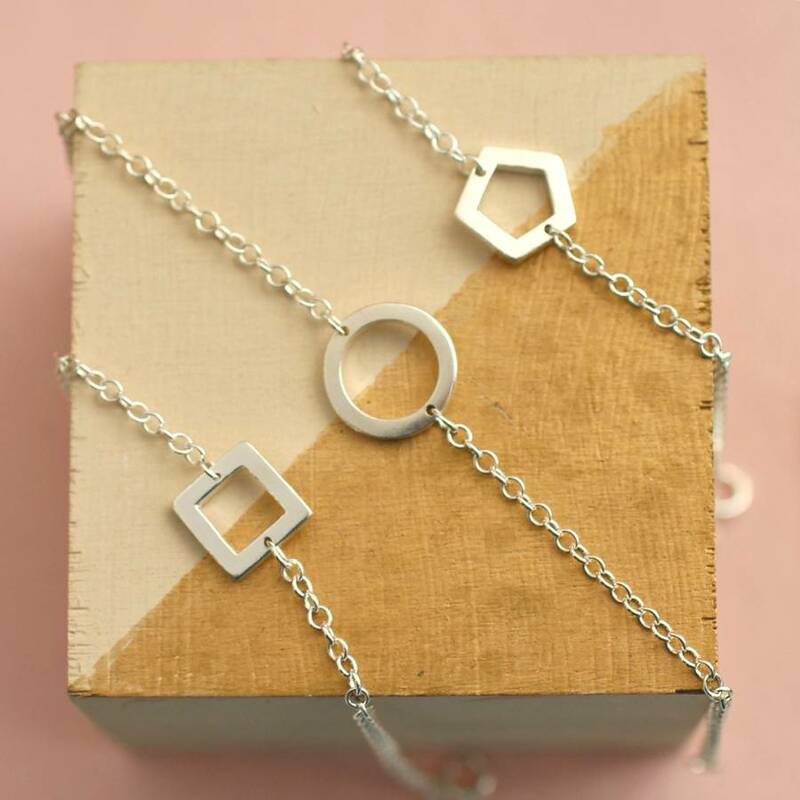 Open geometric shapes are on the trend meter rise and these 925 sterling silver bracelets make no exception. 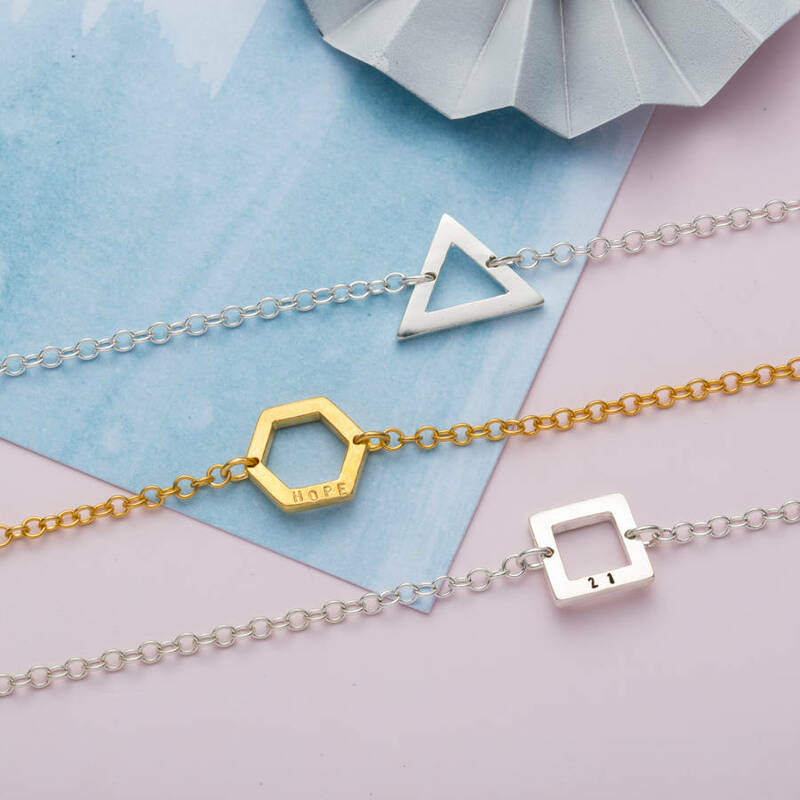 The bracelet perfectly compliment our mini geometric necklace, mini geometric rings or look as striking on their own. This is the perfect gift to give on many occasions such as a birthday, to a best friend or gift to yourself. Choose from black and clear letter finish (for sterling silver only). 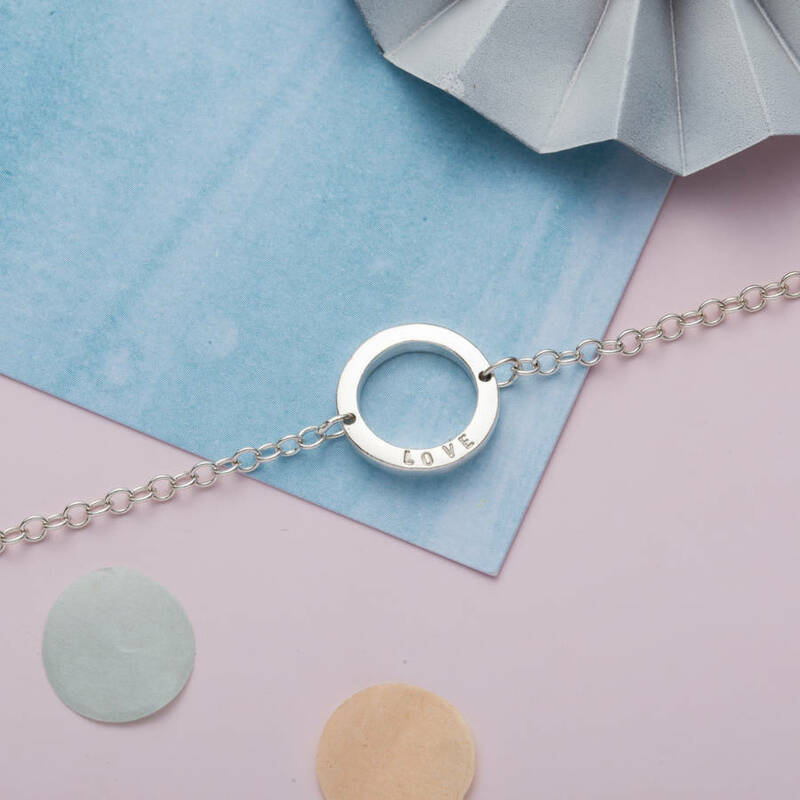 If you wish the bracelet to be left blank, please write BLANK in the personalisation box. We do advise that gold-plating is a finish and this can wear away over time. It can be affected by elements such as exposure to water, heat, chlorine. Chemicals found in body products/perfumes etc. and different skin types. We are happy to re-plate items that have the gold plating worn away within the first 3 months of purchasing however beyond this time there is a small re-plating charge. The charms are available in 925 Sterling Sliver, 9ct Gold Plated and 9ct Rose Gold Plated options.